a small mountain mine that employs 1-13 miners who will extract iron ore.
distance into a mountain with the limited available light. The mine requires either logs or lumber to operate. 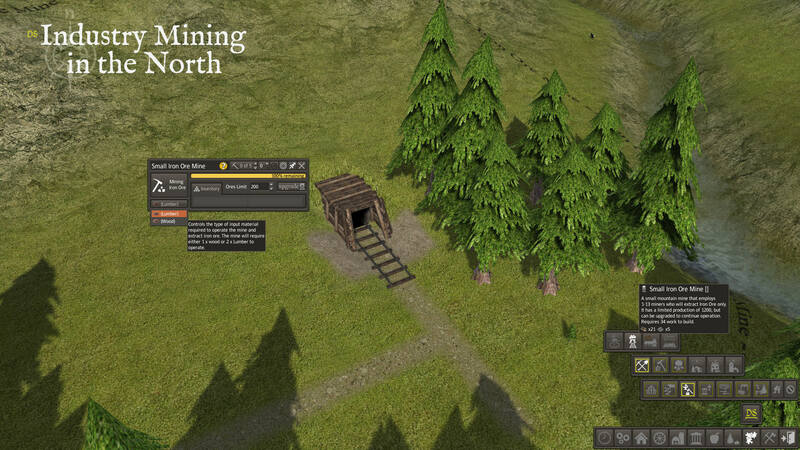 when depleted the mine can be upgraded to continue operation, and mine deeper into the mountains. allows a considerably longer lifespan of 24,800 and slightly quicker extraction of iron ore.
increases the total miners up to 21. this mine will require lumber or wood + lamp oil to operate.